Celebrate National Hospital Week in style. National Hospital Week has been a healthcare tradition for decades. The week presents an opportunity for hospitals to promote their organization’s support of community health and recognize every single member of their staff, from physicians and nurses to food service workers, volunteers, administrators and everyone in between. Thank your staff for their dedication and commitment to providing compassionate care. Hospital Week is the perfect opportunity to show thanks to the men and women who work tirelessly to support the health and wellness needs of their community. 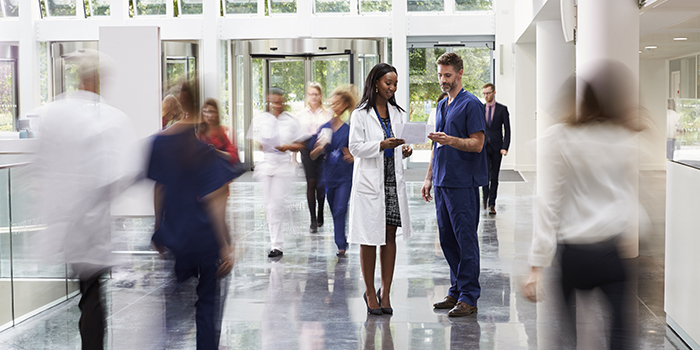 By showing your appreciation to all your valued hospital staff you’re able to drive engagement while also creating an organizational culture where employees feel valued. This is more vital than ever before in today’s competitive healthcare landscape. National Hospital Week is coming up on May 12-18. How will you demonstrate to your dedicated staff your heartfelt thanks? 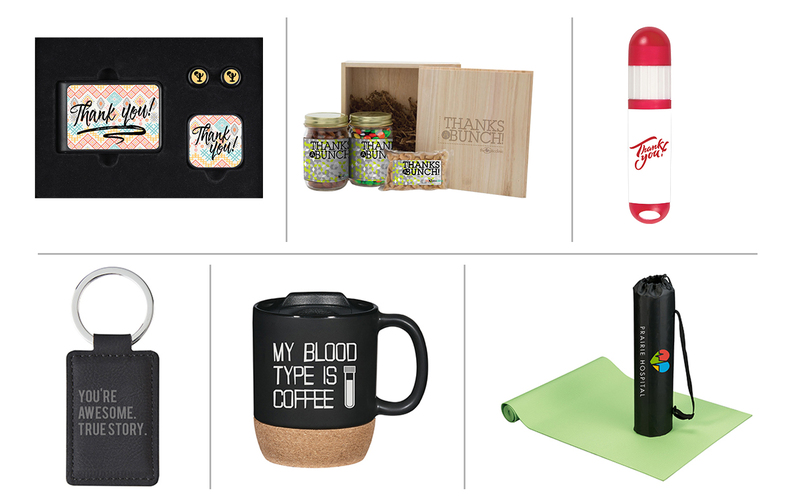 Here are a few ideas for perfect gifts to honor your staff that they’ll love. Show them that your genuine gratitude for all their hard work by giving them products that allow them to take a break every once in a while. Gifts that inspire wellness and good health will go a long way with your hospital staff. Retail-inspired drinkware items like this mug will be used often, remaining a constant reminder of your appreciation for all the diligent hard work and compassion your team shows just as frequently. Customizable gifts like this leather key tag can be personalized with motivational quotes or messages of thanks that keep your appreciation top-of-mind every day. These are just a few examples of ways to highlight your appreciation for your hospital staff. Contact your Staples Representative or check out our Gifting Guide to start exploring the perfect gifting options for your valued staff today.